TRAILERING EQUIPMENT Trailering hitch platform 2.5 with a 2.0 insert for HD 7-wire harness with independent fused trailering circuits mated to a 7-way sealed connector to hook up parking lamps backup lamps right and left turn signals an electric brake lead battery and a ground The trailer connector also includes the 4-way for use on trailers without brakes - park brake/turn lamps (Includes (JL1) trailer brake controller. SNOW PLOW PREP PACKAGE includes power feed for backup and roof emergency light (KW5) 220- amp alternator with gas or diesel engine forward lamp wiring harness (TRW) provision for cab roof mounted lamp/beacon (NZZ) underbody shields and Heavy-Duty front-springs. 2015 Chevrolet Silverado 2500HD **UTILITY BODY READY WORK TRUCK**, **4X4, 2D Standard Cab, 6.0L 8-Cylinder SFI Flex Fuel OHV, 6-Speed Automatic HD Electronic with Overdrive, Victory Red, Dark Ash/Jet Black w/Vinyl Seat Trim. Odometer is 4328 miles below market average!Located in Aledo Illinois, Essig Motors has been family owned and operated since 1989. Owner Jim Essig's experience in the auto industry began in 1975 working for his father's dealership in Washington, Illinois. We are honored to serve Mercer county, surrounding areas, and our growing online community with new, certified pre-owned, pre-owned, and also new and pre-owned commercial vehicles. 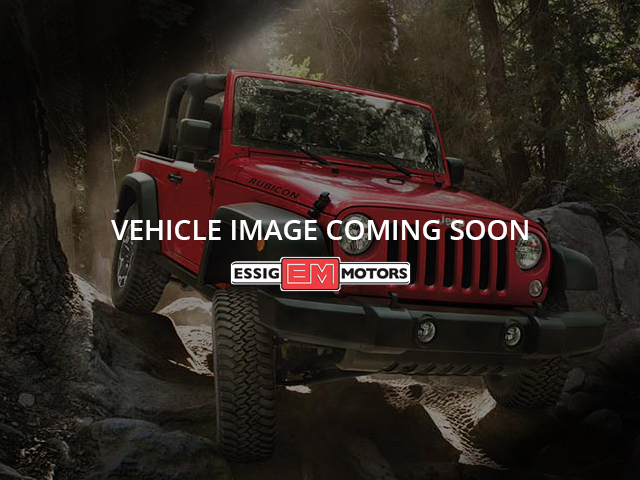 Essig Motors offers an exceptional selection of new cars, trucks and SUVs including Chevrolet, Buick, GMC, Chrysler, Jeep, Dodge and Ram. Our knowledgeable, friendly sales staff is here to answer your questions and help you find the vehicle that meets your needs today!